Mr. Conley began his practice in Harlan, Kentucky focusing on criminal defense and civil litigation. Following his time in Harlan, Kentucky, Mr. Conley joined Porter, Banks, Baldwin & Shaw, PLLC where he focused his practice in the areas of civil litigation, primarily in insurance defense, and the defense of workers’ compensation claims. Mr. Conley then returned to his hometown of Ashland, Kentucky, joining another established defense firm where he continued in the areas of civil litigation, focusing on the defense of insurance companies and their insureds in a broad range of cases including claims for automobile liability, commercial truck liability, property damage, premises liability and nursing home negligence. Mr. Conley left private practice and assumed the role of Associate Counsel with King’s Daughters Medical Center, managing all pending litigation against the hospital and its employed physicians. Following his time with KDMC, Mr. Conley was named General Counsel and Director of Human Resources for Pathways, Inc., a Community Mental Health Center covering a ten county region in northeastern Kentucky. 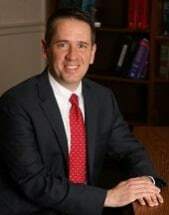 In July 2016, Mr. Conley rejoined Porter, Banks, Baldwin and Shaw, PLLC where he is now focusing his practice in the area of civil litigation, including insurance defense, medical malpractice defense and representation of numerous school boards throughout eastern Kentucky. Mr. Conley has first chair trial experience and has been involved in numerous trials throughout eastern Kentucky.